Shopping malls in Kuta are similar to those all over the globe. This is where you will find well known brands you know and trust. 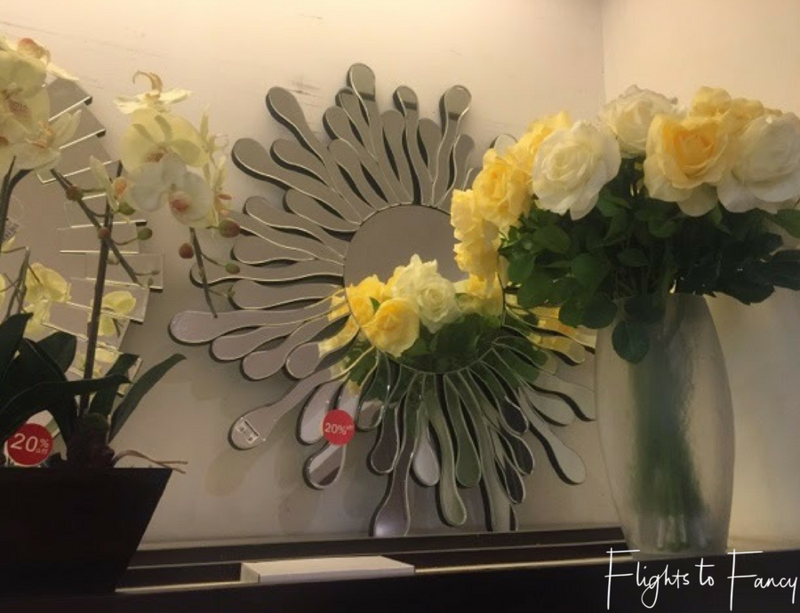 While not a bad way to while away an hour or two in air-conditioned comfort, prices are quite similar to what you would expect at home so if you are looking for a bargain you are in the wrong place. Prices are fixed so this is not the time to put your haggling stills to the test. 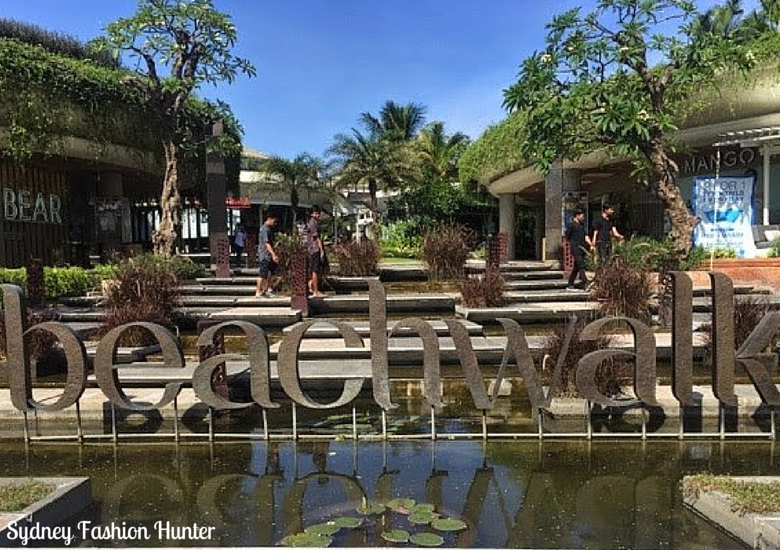 Beachwalk, and Discovery are the big players in Kuta. As the name suggests Beachwalk is directly opposite Kuta beach, just up from the Hard Rock Cafe. 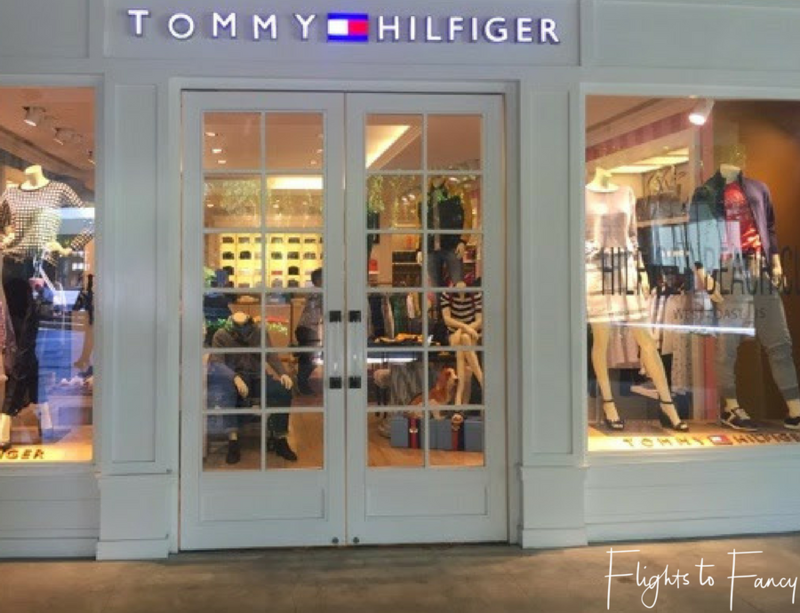 Stores include Victoria’s Secret (only stocks beauty and accessories), Topshop, Tommy Hilfiger, Pandora, Zara, Swarovski, Furla, Hugo Boss, Armani Jeans, Versace Jeans, Gap, La Senza, Quicksilver, Miss Selfridge and Aldo. Discovery is located in the Southern end of Kuta near WaterBom. Well known stores include Billabong, Converse, Crocs, Esprit, Guess, Hurley, La Senza, Nautica, Nike, Nine West, Polo Ralph Lauren, Puma, Roxy and Sketchers. Unlike your typical Australian mall they also have a beach club at the rear so if the shopping malls in Kuta get all too much you can take a break for a swim and a well earned bevvy. Cheap T-Shirts abound in the markets in Bali. Depending on your negotiating skills you can pay as little as $1 or as much as $5 each. While the price is tempting (and Mr SFH has purchased in the past) be aware that you get what you pay for. If you don’t mind them shrinking, stretching and fading in the wash go for it. It seems it is almost a right of passage for every Aussie male to purchase a black Bintang singlet. If you are going to buy at least stand out from the crowd and be a little original. Sunglasses are often sold in the same stall. I wouldn’t risk my eyes but if your keen expect to pay around $4. Most ladies clothes stalls stock a healthy range summer dresses and sarongs. Colours are vibrant and tie dye is plentiful. While your purchases might be useful during your stay, I can’t see you rocking them on the streets of Sydney. I did pick up a cute split sleeve dress from Ahimsa in Ubud. It was around $40 so pricy for Bali but I wear it often and I love it. Libra Kuta (Jl Legian 384, Kuta) A few doors down from Yogi’s grill (our regular lunch spot) is Libra Kuta. I bought a summer dress which unraveled quickly and a floaty top that I am still wearing with no issues so I guess it is a bit hit and miss. 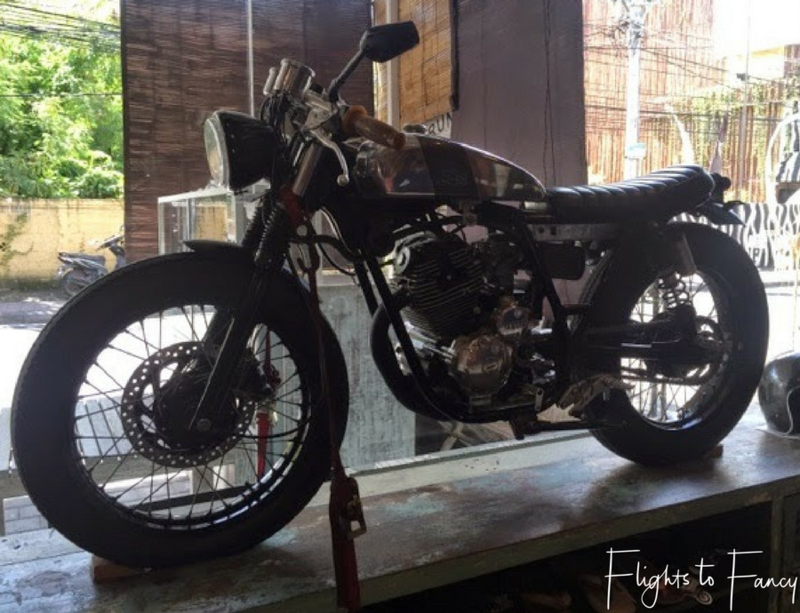 Deus Ex Machina (Jl Laksamana Oberoi 3B Seminyak) OK I will admit that this is not really my cup of tea but seeing it was the only shop that The Hubs wanted to go into I could hardly refuse after he had followed me into dozens of Bali boutiques. The usual branded gear, T-Shirts, hats etc and some cool vintage motorcycles to gawk at. Balinese addresses are really confusing sometimes, I have quoted the official address above but when I look at the map I swear it is on Jl Kayu Aya, anyhoo it’s just down from Seminyak Square and pretty hard to miss. Tailor made leather is a specialty in Bali and given that this will likely be one of your more substantial purchases it pays to shop around. 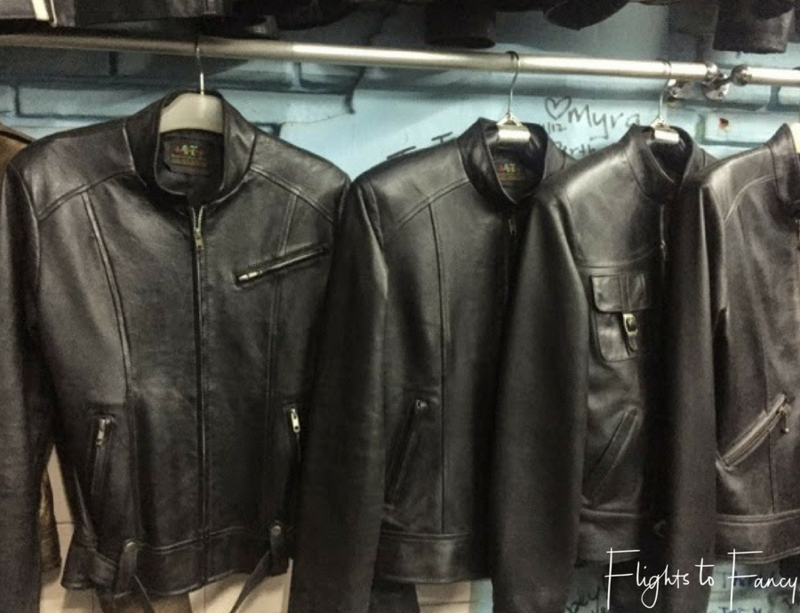 I have personally used Joey 47 (Jl Pantal #47 Kuta – right down the back in the right hand corner) to make two leather jackets and a leather coat and am thrilled with the results (see more here, here and here). Ensure you look at a samples of the leather that is actually going to be used for your item as quality and colour can vary dramatically. Tailored made takes time so plan to order early in your stay. Miracles can happen and Joey made me one in 24 hours once but to ensure you are not disappointed allow 4 days. Expect to pay around $100 – $150 for a jacket depending on the colour and style. Basic black is always the cheapest. Sunny Imported Bikinis (Jl Legian, Legian). Left something critical at home? Pick up what you need here and you will be hitting the beach in no time. Lots of colourful options for around $25. Blueglue Bikinis (Jl Kaya Aya, Seminyak). This place is divine! One of my favourite Bali boutiques. An amazing water feature snacks through the entire store which is reason enough to step inside. The displays are simple, uncluttered and enough to entice anyone to buy. Buy here if you can’t make it to Bali. Shopping in Seminyak Bali is a little more relaxed than in Kuta and Legian. 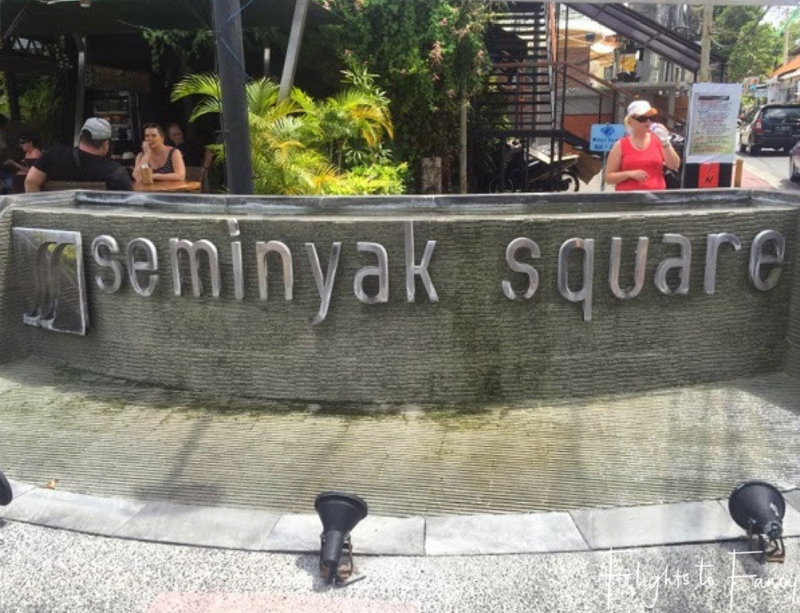 While Seminyak does have two malls, savvy shoppers will hit up the boutiques (see below). Seminyak Square is tiny and possibly the only stores you will recognise here are Billabong and DC. I did spend quite a bit of time pottering around a home wares store called Vinotti Living where I picked up a couple of cushion covers to take home. 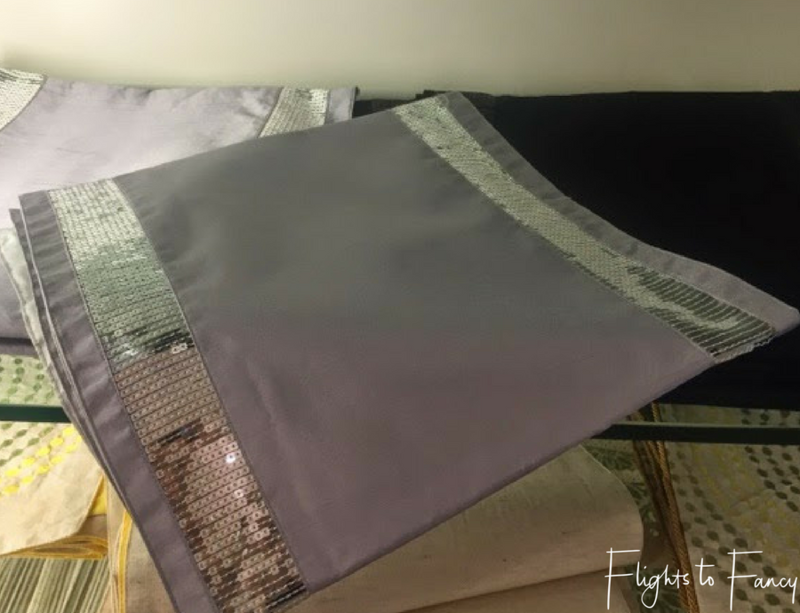 I fell in love with a sparkly silver table runner but at $30 I thought it was a bit steep. Great furniture and mirrors but sadly a little big to fit in the suitcase. 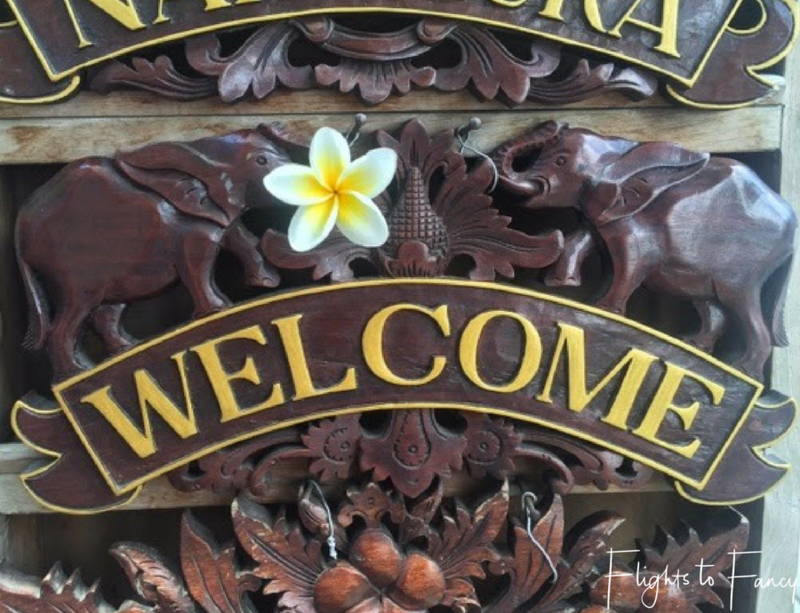 If you are catching a taxi to Seminyak this is a great place to ask your driver to drop you off and while it’s definitely not a destination in itself the surrounding streets make for great browsing. 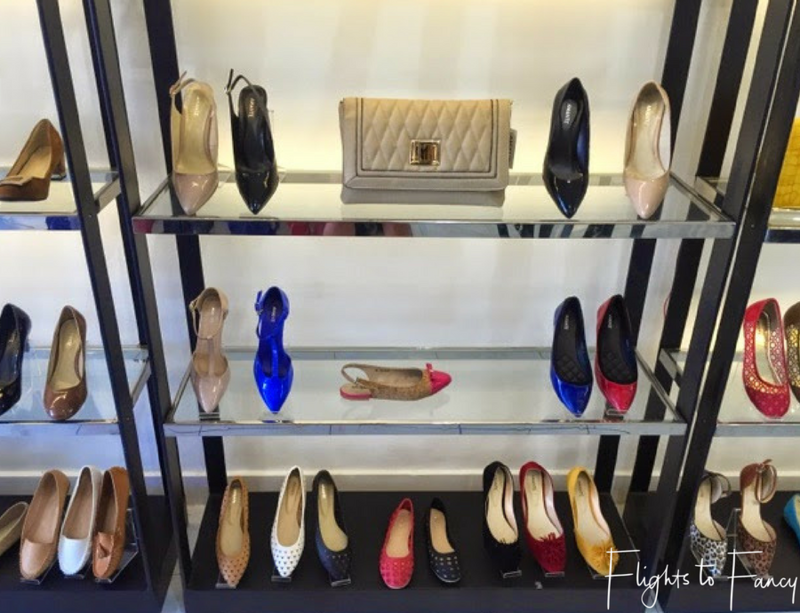 Seminyak Village is a little more upmarket with stores like Rimowa, M Resort and Aldo. One of my favourites in Farah Khan which is known for glamorous hand embellished pieces. When you are exhausted from shopping in Seminyak Bali, head to the very top level and treat yourself to facial at Spring Spa. It’s pricey by Bali standards but it is amazing. The quintessential Bali shopping experience. Stalls litter the main roads, side streets and every conceivable space in between. Owners will sit on the foot path and try to entice you to have a look with offers of “cheap cheap” wares inside. Tourist tat abounds and the vast majority of them sell exactly the same thing. However don’t dismiss the markets in Bali as almost everyone must take a trinket or two home for friends and co-workers. Expect to haggle for a deal and as a rule of thumb aim to pay half what they quote as the initial price. Be respectful of the culture and don’t enter price negotiations if you don’t intend to buy. The Balinese consider it insulting if they meet your price and you then don’t buy. 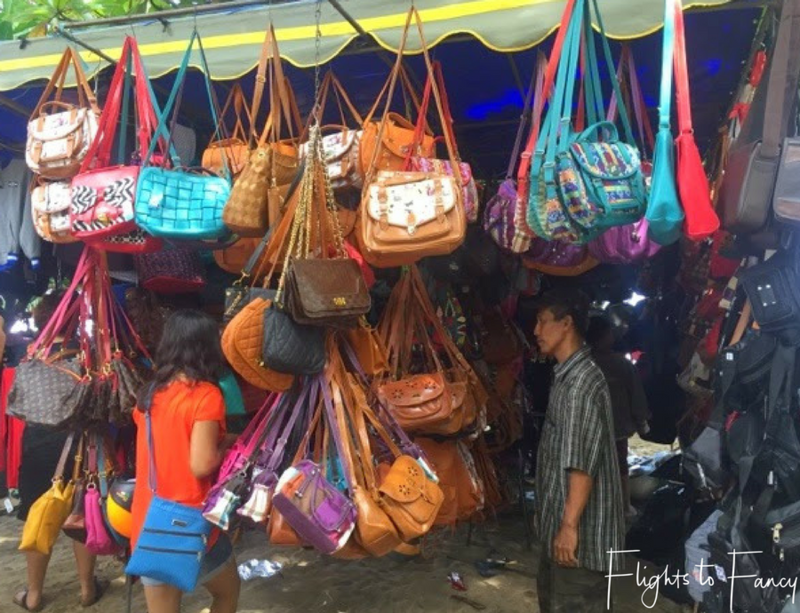 While haggling can be fun and is all part of the process don’t push too hard to get that last 5,000 Rupiah off. Keep things in perspective, trust me that 50c you are trying to shave off will mean much more to them than it will to you. Cash is king here so leave the Amex at home. So what is worth buying and what isn’t? Amante (Jl Legian 355, Kuta) OK confession time. I originally popped in here because it was air conditioned and I was melting and just needed to escape the blistering afternoon sun for a spell. However once inside I was delighted by the offerings and I managed to pick up two pairs of shoes for a smidge under $60. Score! Buy here. 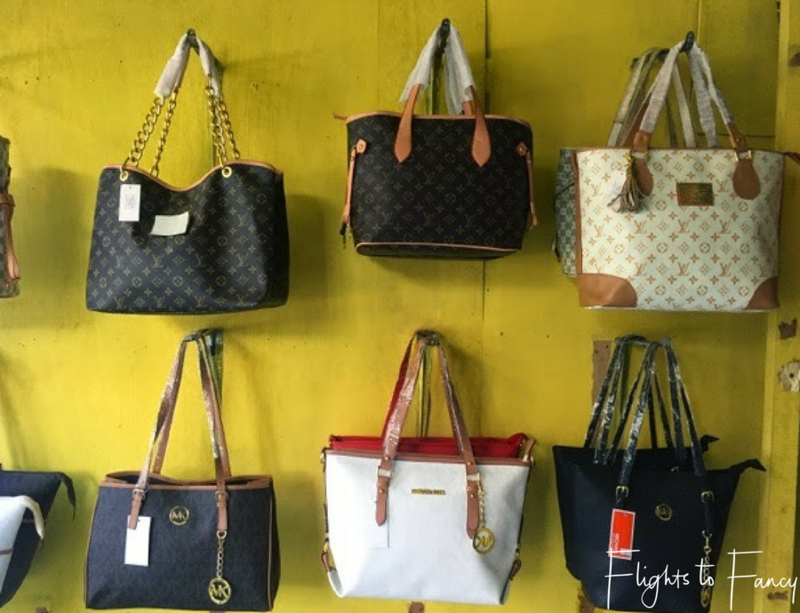 Fake designer bags in Bali are popular with Jimmy Choo, Michael Kors, Mimco and Luis Vuitton dominating the scene. Prices start at around $10 for the simple Mimco clutches and top out at around $40. Quality will vary from stall to stall so check a few out before deciding. While I don’t own a fake designer bag from Bali myself, I know plenty who do and they are happy with what they got for the prices they paid. Besides the fakes there are plenty of colourful options. Just remember that straw will need to be declared on your return to Australia. Ebiza (Jl Kaya Aya, Seminyak). Definitely a must visit while shopping in Seminyak Bali. Ebiza is one of the first stores you’ll encounter walking away from Seminyak Square. 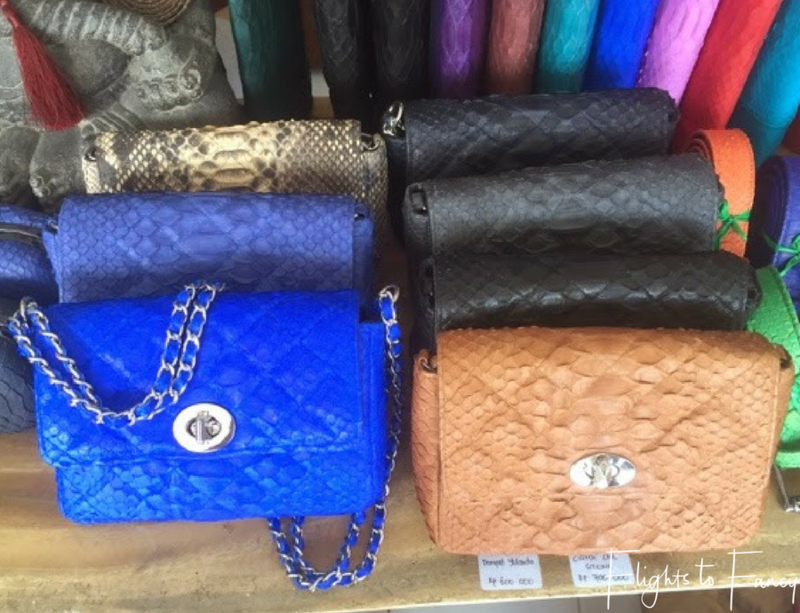 Go for the gorgeous snakeskin bags. I fell in love with the electric blue cutie below and I’m seriously regretting not buying it for $55. If you have no issues infringing copyright laws, DVD’s can be picked up for $1 each and if you buy 10 you get 5 free. Try Softcomp Centre at the top end of Poppies II near the Bali bombing memorial. It’s not strictly a stall and you will appreciate the an air conditioning and non aggressive staff while you browse. Always ask if it is a “good” copy or a “cinema” copy. This store will let you test before you buy. Wooden carvings and bling signs can make nice souvenirs and are custom made to your specifications. Be aware that you will need to declare wooden items on the way back in Australia. Art stalls are everywhere and generally not to my taste but if your are looking for a painting of Heath Ledger’s joker then every stall will have one. 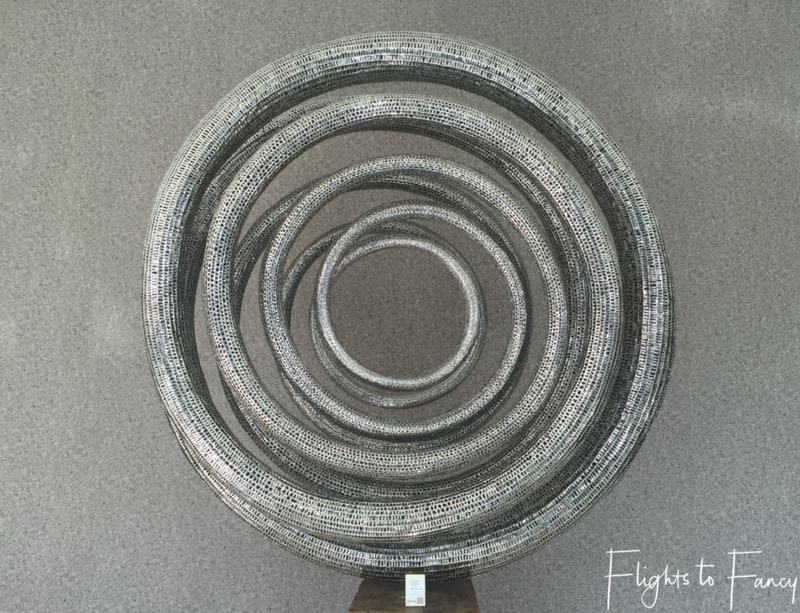 If you have dollars to burn check out the stainless steel sculptures which are amazing. For something quite unique there is a little stall selling lights on Jl Legian (between Jl Padma and Jl Melasti). You have to build them your self but this makes packing them so much easier. I can totally see these dotted around a tropical back yard. Homewares are ever present while shopping in Bali, with bowls, platters and strange ornaments seemingly the norm. Not my style but each to his own. Something you might not expect to see while shopping in Bali is beanbags. We bought six of the chair type ones on our last visit from Jaya Pillow I (Jl Padma Utara Legian) for $14 each in the outdoor fabric. Prices seem to have gone up dramatically since August as I couldn’t get them to go under $30 a piece this time around. Great choice of colours and styles. 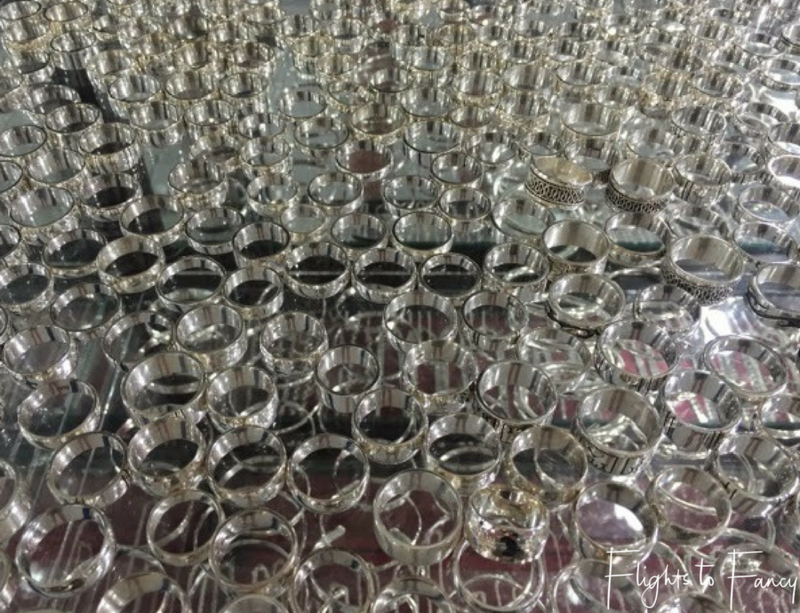 While they have a few in stock they are mostly made to order so allow at lease three days. 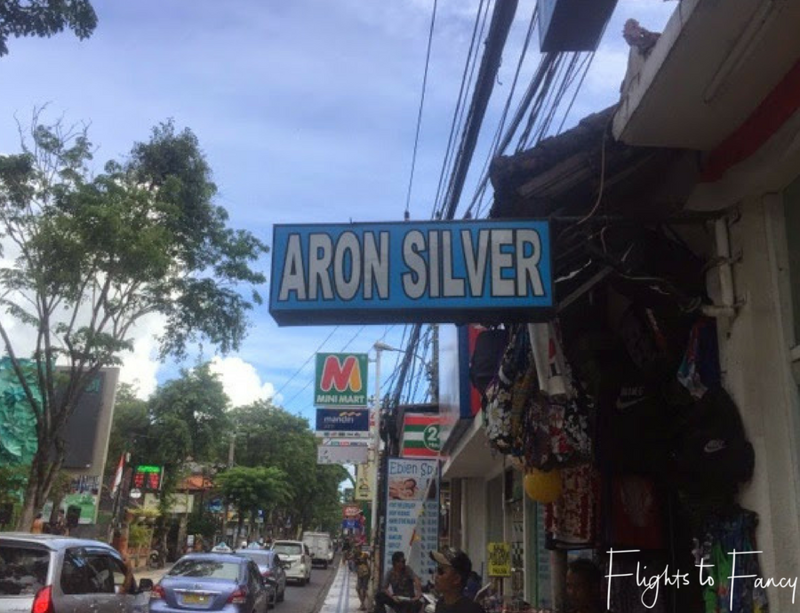 Asia Silver (Jl Raya Seminyak 49, Seminyak). A little more up market (and therefore pricier) than Aron. Check out the beautiful black onyx, amber and mabe pearls. The pink mabe pearl ring to the right of the third picture would have been mine if it was my size but alas it was not meant to be. Check out their range here. Wallace Pearls (Jl Laksmana Oberoi, Seminyak). 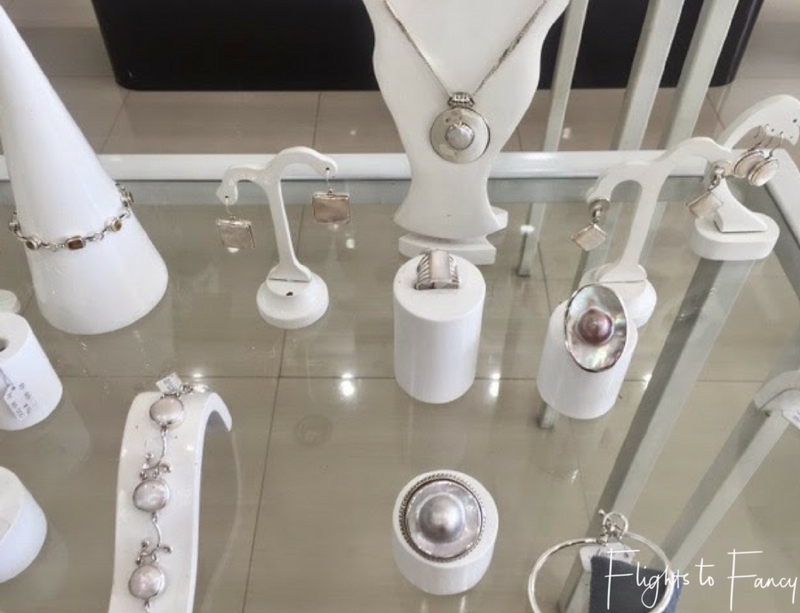 Not far from Seminyak Square is a delightful little boutique selling exquisite freshwater pearls. It looks like a dress shop from the window displays but wander inside and you’ll find a treasure trove of delights. Prices are fixed but they do have discounts off some items (just not the ones I wanted to buy) and if your spend over a 1,000,000 rupiah (I did!) you get 10% off. 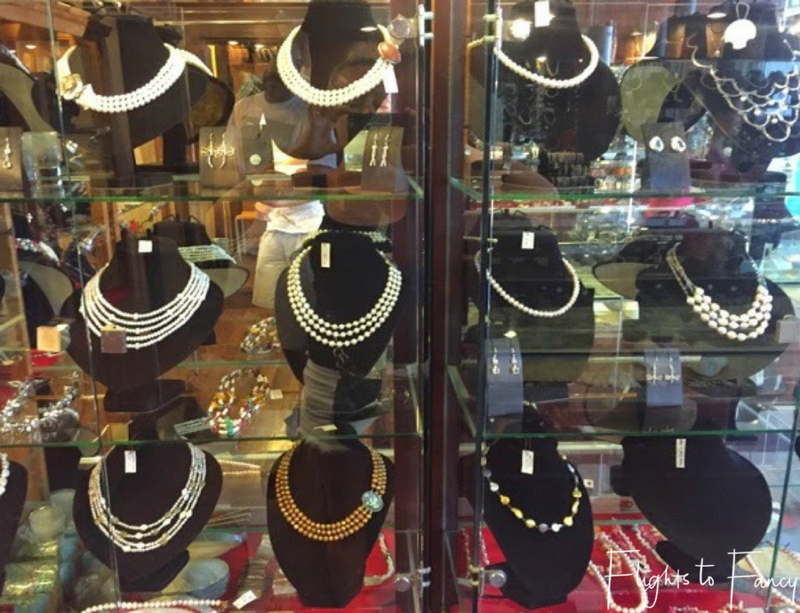 They also have a sister store called Pretty Pearls in Legian. 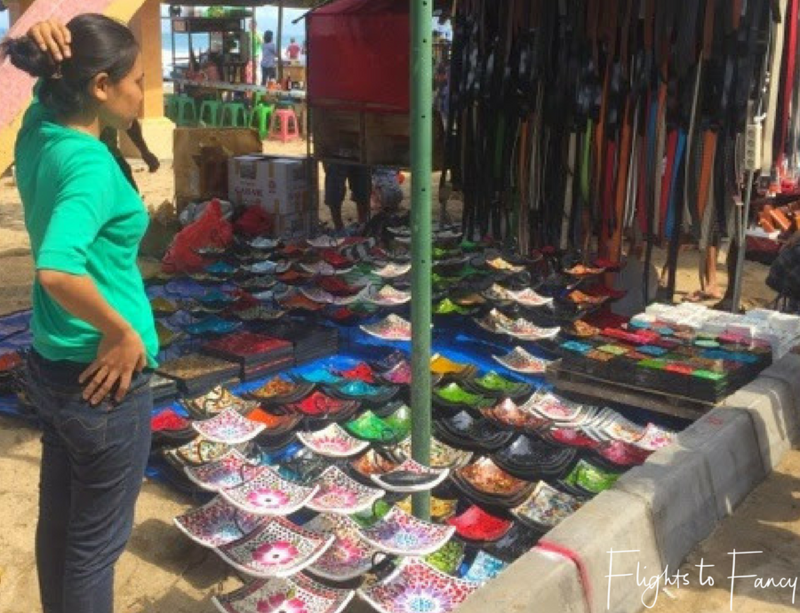 Be warned: If you are planning to step foot on the beach you will encounter a hawker or two (or three or four or five …) selling mostly watches, sunglasses and hats but more concerning they also offer Viagra, Xanax and Valium. The Hubs was starting to take it a little personally given the amount of times he has been offered Viagra. Now surely I don’t have to warn you of the perils of buying drugs off a street hawker, do I? This is Bali and penalties for drug possession are harsh, up to and including the death penalty. Undercover police pose as dealers to trap unsuspecting tourists. Do not go there. I repeat do not go there. I’m not going to lie to you, hawkers can be quite persistent and it does get a little tiresome after a while but the best way to fend them off is to not break your stride and say “no thank you” politely yet firmly, better yet say it in Balinese (singh sooksuma). They may follow you for a little while but will eventually taper off. I have never made a purchase, heck I don’t even slow down enough to look because to the minute you show any interest you’re toast. They will remember you and catch you (possibly stalk!) each time you leave your hotel. Never say “maybe tomorrow”, again they will remember. Dance with the devil at your own peril. Have I missed any of your favs? If so I’d love to hear about them in the comments below. 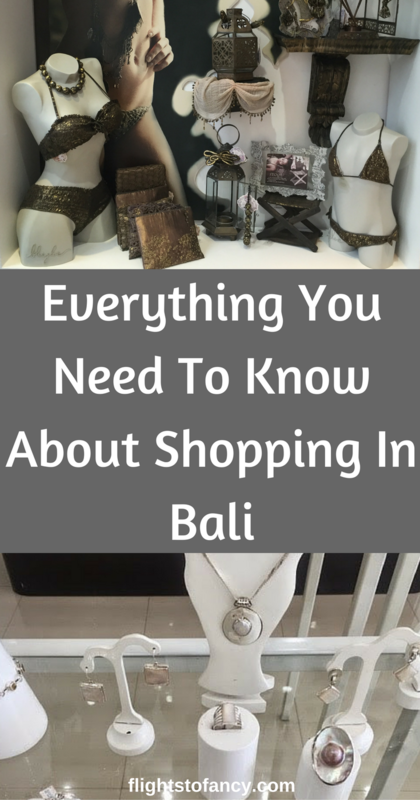 Pin “Everything You Need To Know About Shopping In Bali” For Later! Hi, I am soon going to Bali and I am very excited for the shopping. Do you know any good places to get fake designer clothes? Hi Ginger did you have something specific in mind? Fake branded t-shirts are everywhere but if you are taking about a Chanel suit or the like I’ve never seen any in all my visits. Hope you have a great trip! Hi there, a friend recently returned from Bali and bought a great looking fake Louis Vuitton travel bag, they don’t recall the name of the shop. 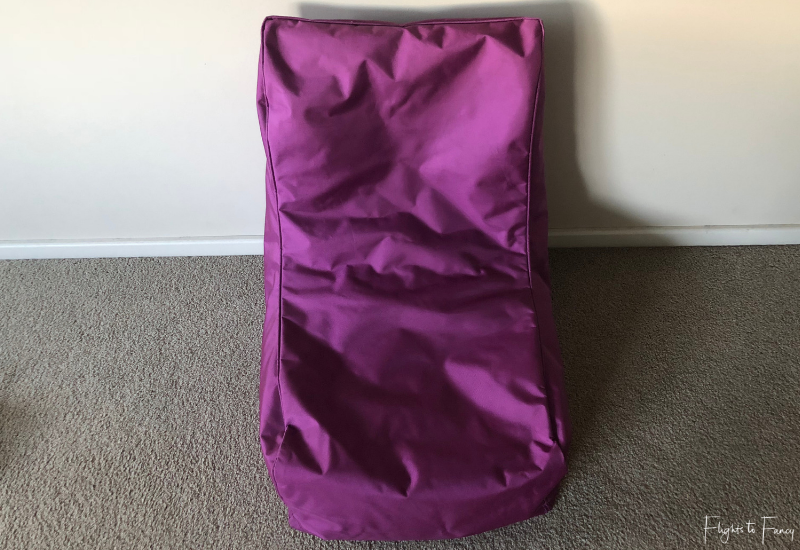 I have been trying to search for any shops that would send me a fake bag to Australia but can’t find any online, would you happen to know the name of any shops. Hey Andrew, No I don’t I sorry. The fakes are mostly in the market stalls and are not really stores as such. I am on Bali right now and I am looking for those fake designer bags you are talking about. I have been staying in Ubud, and the options here are limited. However, we are going to Kuta tomorrow before going to the airport, so is there any places there you can recommend, both markets and stores with bags? Hey Anne. Hope you are having an amazing trip. Agree the options in Ubud are limited but you should have no issues in Kuta/Legian. 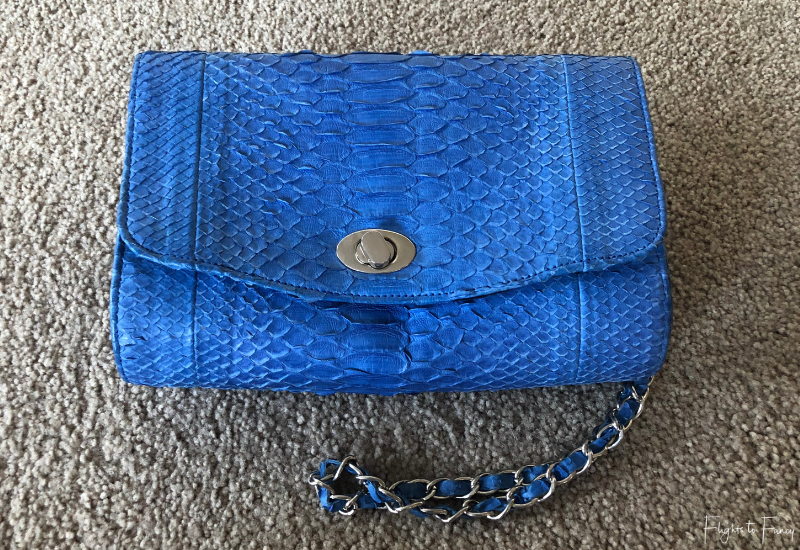 I was last in Bali a few weeks ago and Mimco now seems to be the favourite knock off but there are a few others around. Try the strip of Jl Legian between Poppies and Melasti. It’s about a 25 minute walk and there as a few there. There are also at least two in Garlick Lane. Good luck! What experience you have please with shopping at markets for clothes like dresses, shorts, tops and fake designers bags, shoes and tshirts? Is it worth to buy it or wiill most of it just last 2-3 times? Just wondering if I should bring my own clothes or buy everything there 😊 Can you also buy a lots of quality clothes and shoes for good price or on a good sale in regular stores? Thanks for answer! Hi Fila. The markets have varying degrees of quality but they are not perfect like you would buy in a store. I had one dress fall apart on the first wash and others that have lasted years so it’s a bit of a lottery. The fake bags are most often not leather and again varying degrees of quality. I haven’t actually purchased one myself but friends have and they have held up OK for the cost. 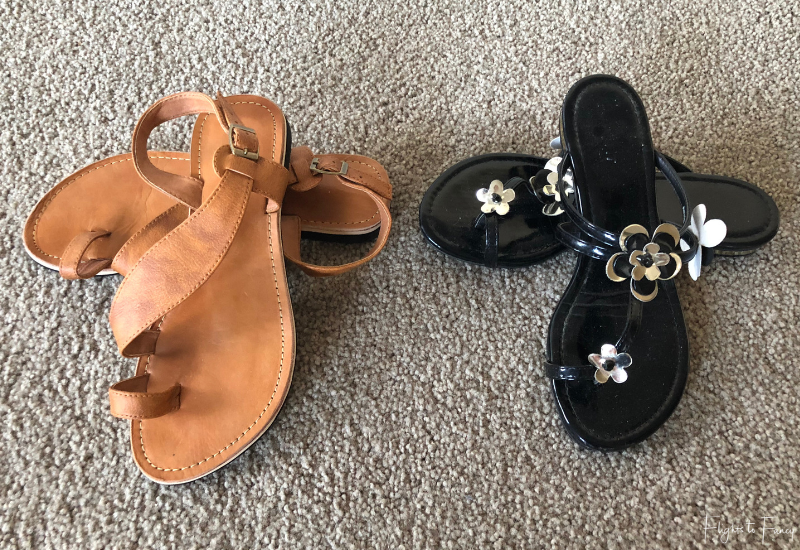 I just got back from Bali three days ago and I bought two pairs of shoes for $10 each. So far so good. I wouldn’t count on being able to buy everything there so do take some of your own clothes. The regular stores will have specials just like everywhere else but do t count on huge bargains. Hope this helps! My first trip was in 1989 at 17! It’s so different! I see lots of good things coming from the progress but like you I often feel nostalgic for old Bali. I was just planning my trip to Bali next month and I couldnt have come across your post on better time. 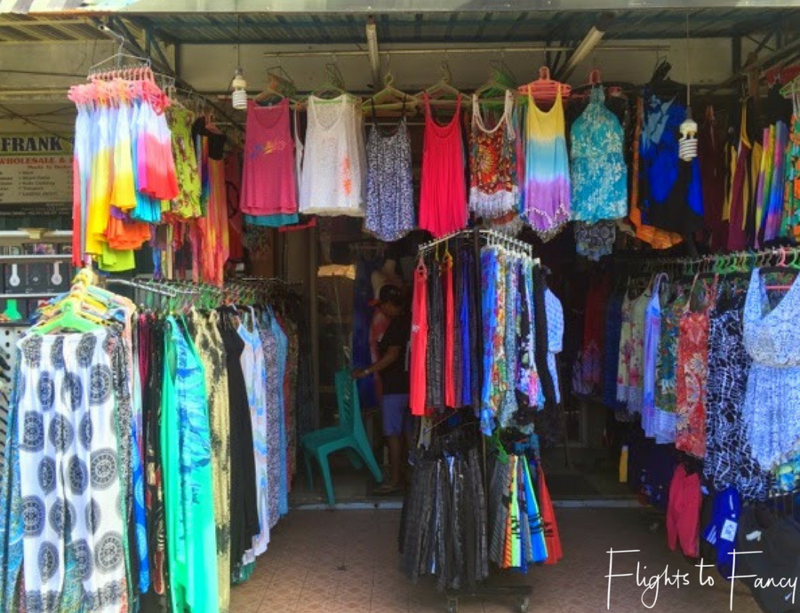 Thanks for the detailed post on the shopping scene in Bali. 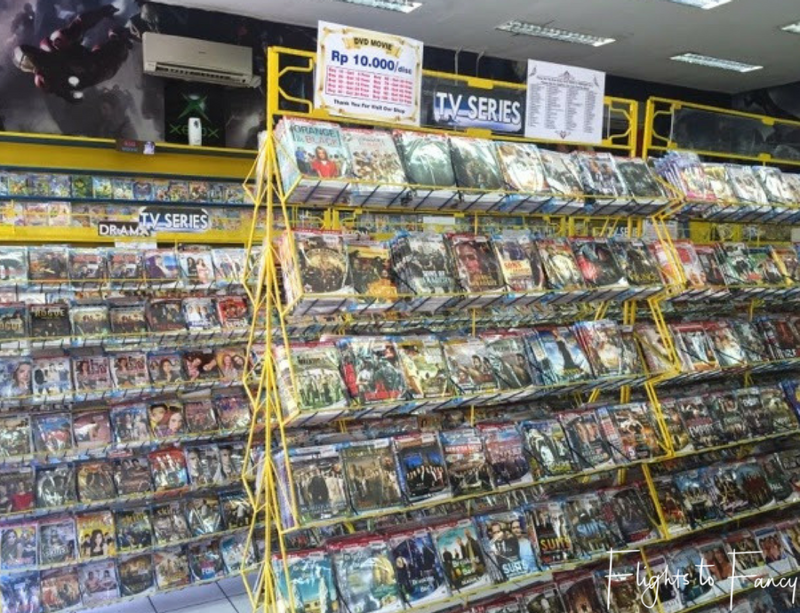 I love street shopping in South East Asia, it’s like walking into a trinket treasure. This is going to make me plan my shopping spots much easier. Cheers! Leave some extra room in your luggage Suma! 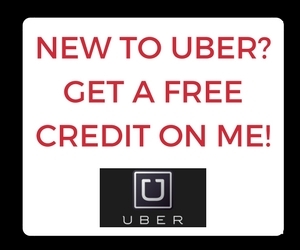 You sound like you are going to need it! 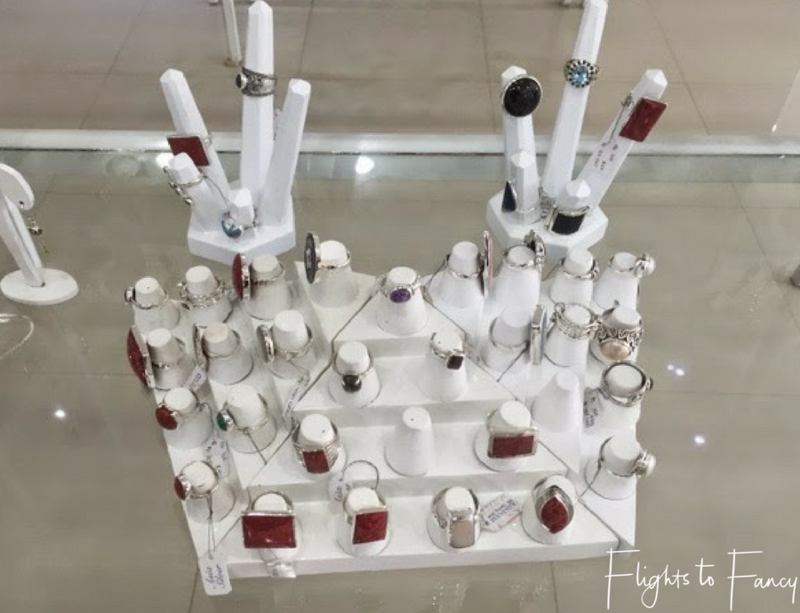 That is a detailed post for shopping in bali. 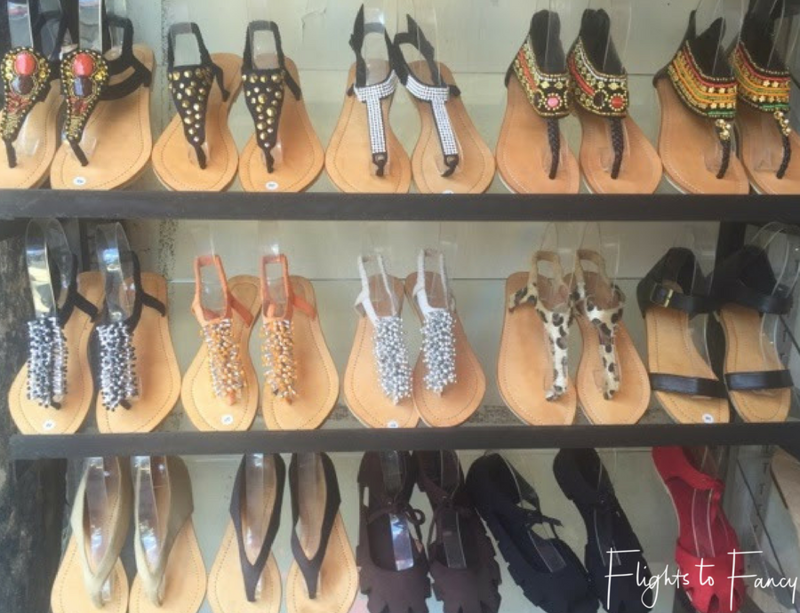 There are lots of options and things to shop for in Bali. 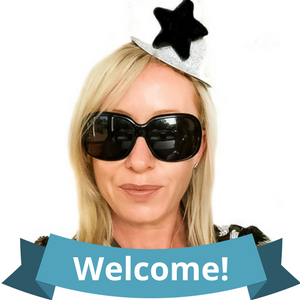 Buying from Boutiques after bargaining is a good option. I liked that tailored jackets too and would love it for myself. There is a lot of shopping to be done in Bali! I have not been, but now I know to save some money for shopping! I also, love looking at home wear stores when abroad as there are so many nice things for the house, but getting them home is a pain, I wish more places offered to ship. Definitely save some money for the stores Lucy! Good luck! Shopping comes last on my mind whenever I am in a foreign country. Though I pick the local artifacts wherever I go. I am amazed to know that tailor made leather is a specialty in Bali. This shopping guide is handy and quite helpful. Thanks for this guide to shopping in Bali – I’m more of a markets than malls girl myself, and love looking for unique authentic souvenirs (I figure I can get designer brands at home!) That said though shoes are my weakness!! Good to know on haggling not to enter price negotiations if you don’t intend to buy. I wouldn’t want to offend anyone, but that I definitely wouldn’t have known. The shopping experience in Bali sounds like quite the sport! I love them all Megan lol. I have been to Bali a few times and shopped there for local clothes and nick-nacks. In general when we talk of high-end shopping, Bali never enters my mind. Now I know better :). The local stuff is still the best Nisha. Most of the high end stuff is the same as you can buy anywhere and similar prices! I’m always on the look out for something unique! Wow, I have been to Bali twice, but I never realized it was such a great place to shop for souvenirs and goodies. I feel like flying back just to shop for more things. Oh my! I sure didn’t see any of this fabulous shopping when I visited years ago. And seriously this is the first time I have seen any blog post mentioning it. Thank you for the inside scoop! 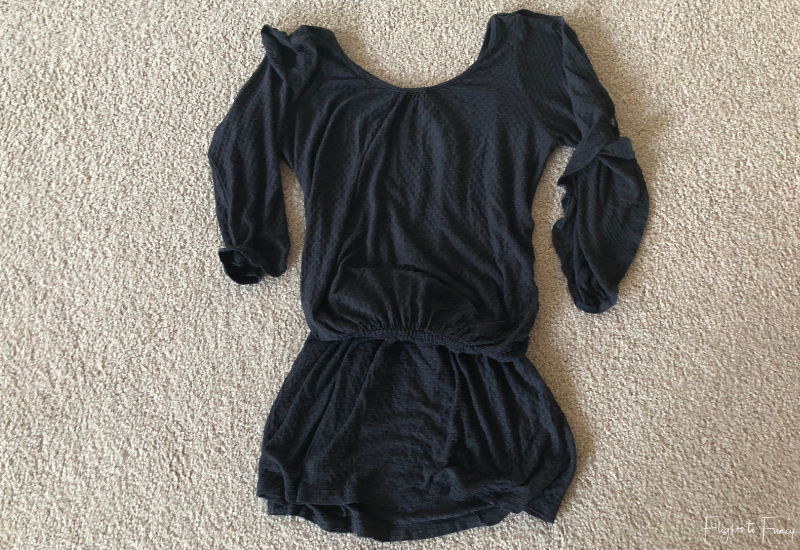 There is soo much more shopping to list but it’s already a very lengthy post lol. 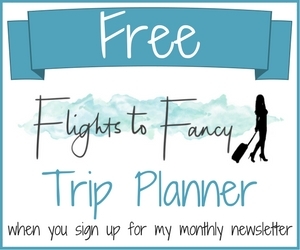 Make sure you check it out next time you go! Well, who doesn’t really like to shop if there are great deals waiting and cheap but good quality of products are waiting? Thank you for these lists! Such an informative post and a good read indeed! There are lots of bargains to be had if you know where you look Ghia! The silver and pearls look really special. I’m quite cautious about shopping when I am overseas because things never look quite right when I get them home. But I’d probably indulge in some of those pretty wood carvings too. Shopping in Bali?! I thought everyone went to Bali to lay by the beach and lounge around! Very thorough info here. It will definitely be helpful if I find myself in Bali wanting to shop! I have always wanted to go to Bali! Next year, I am hoping that I could tick this off my bucket list. I need to take note of the shopping destinations listed here. I would love to bring home with me a few souvenir items from Bali, it’s my tradition when traveling. Hope you make it to Bali soon Abigail! If I remember correctly, you collect mugs from Planet Hollywoods around the world? I collect Nike shirts with the names of the places on them, so I’d hit up the Nike store looking for a Nike Bali t shirt. I would have to visit Discovery and any other mall that had a Nike store. If they did not have a Nike Bali shirt, I could buy a plain Nike shirt and get Bali stamped on it at one of the markets that did that type of thing! I definitely prefer the air conditioned malls over the markets! Close James. I collect Hard Rock Cafe Hurricane glasses and yes I have one from Bali lol. I’m going to keep my eye out for Nike Bali shirts now next time I go. Don’t dismiss the markets entirely, the haggling is a whole lot of fun! Woah!! Never knew such top-notch brands ist in Bali. The mirror is really beautiful and different. I love shopping for footwear wherever I go. You seem to have done a lot of research on all the markets in Bali. Thanks for summarizing them here. Will be really helpful when I visit Bali. I never thought I would be buying shoes in Bali FS but I surprised myself lol. Shoes and bags are my weakness! Don’t forget that Bali is a good place to buy spices, and there’s a great market at Fatmawati for crafts. That is so true Dan. I just never personally buy food as it’s too much hassle to declare it coming back to Sydney but for this with less strict customs requirements it would be another great option. I love haggling for a good deal! It’s just not really something you can do easily in the US or most places in Europe. I’d probably stay away form the “normal” air conditioned mall, as I really like to talk people down in prices. What a great comprehensive shopping guide! Haggling in the markets is certainly half the fun Savannah! There is the odd ‘fixed price’ place but those are usually well sign posted. Hope you get some bargains Neha! What a great post! I’m so fascinated by the stalls! The malls are quite different to what I imagined though, not sure why because they look just like a shopping mall. You can lose hours in the stalls but yes the malls are Exactly what you would find at home and at roughly the same prices. Very thorough and informative… i will be pointing anyone I know travelling to Bali towards this post! Thanks so much Megan! 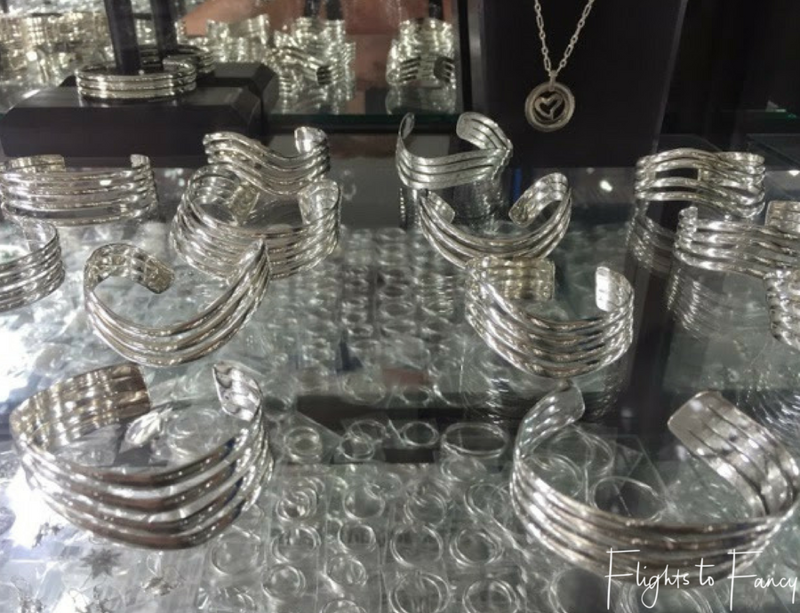 I’m doing another post shortly Ailey on shopping silver jewellery (my obsession!) in Bali ?